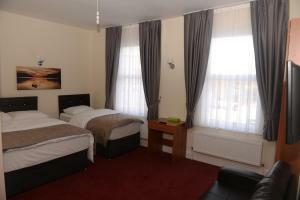 Global Lodge offers accommodation in London. Rooms are fitted with a flat-screen TV. You will find a kettle in the room. For your comfort, you will find slippers, free toiletries and a hair dryer. Global Lodge features free WiFi . See all Global Lodge reviews..